President Trump's constant bashing of the press is a strain on our democracy in more ways than one. His rants against the media are not so much "un-presidential" as they are "un-American," in that they show "no respect for the bill of rights," Frank Rich said in this week's edition of the Reliable Sources podcast. Rich, a writer at large at New York magazine and an executive producer on HBO's "Veep," spoke to Brian Stelter about the recent presidential tweet featuring a doctored WWE video clip that shows Trump "wrestling" CNN to the ground. 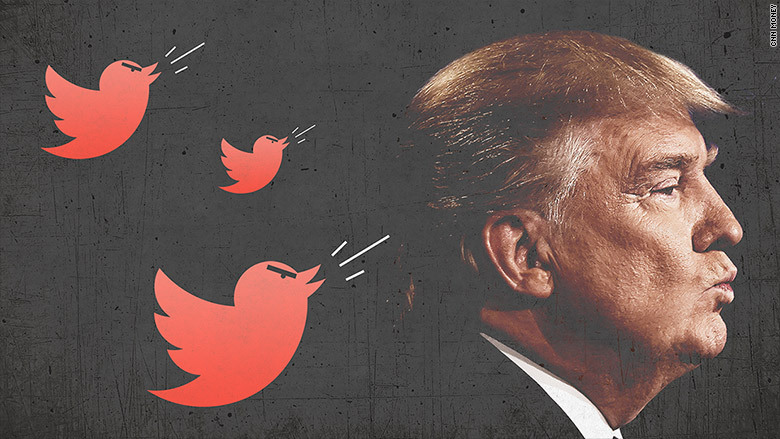 While he doesn't believe the tweet represented a direct instigation of violence against reporters, Rich said the President is "playing to his base" in a way that "gins up people," particularly in the context of rallies. Trump's tweet "is the kind of thing you'd expect in a totalitarian state, not in a democracy," Rich said, even though "we have not reached a police state status." That's no reason for journalists to stop pointing out that when the executive branch wages war with the fourth estate, democracy is in danger. "We know from history that there is a path to totalitarianism," Rich said, and trying to curb press freedom is an important step in that direction. Listen to the full podcast with Rich and Stelter here, and subscribe on iTunes. Rich cited several points in American history when our leaders attempted to stifle the media: from the McCarthy era, when Washington "tyrannized a lot of the press" with the threat of being labeled as Communists, to the days of the Watergate investigation, when the Nixon administration waged war against what they called the "eastern media conspiracy." Then there was the time Pat Buchanan forced CBS's William Paley to truncate a Cronkite special report on the investigation, and attempts by the Nixon camp to go after the Washington Post Company's lucrative TV licenses in Florida, to damage the paper's financial standing. While some of these events are not so distant in time, our recollection of them can fade with the generations, or get conflated with Hollywood's treatment of the past, Rich said. Rich took a deep dive into the Watergate era for this week's New York magazine's cover story, titled "How A Presidency Ends," and approached the project with exactly that in mind. "What we remember is 'All The President's Men' the movie," he told Stelter. "Real history happens more slowly and can be more boring along the way. I wanted to reconstruct the way it played." For the piece, Rich plunged into newspaper coverage of the day, columns like those written by Elizabeth Drew at the New Yorker, describing the atmosphere on the Hill in those days, and memoirs by many of the key players involved in the investigation. What he found were many parallels between then and now. Just how many, he said, "was amazing to me." An obvious parallel is the presence of a special prosecutor both in 1972 and in 2017. Robert Mueller, who was tapped in May to lead the investigation over Russia's meddling in the US election, "could be fired along the way" much in the same way Nixon fired Archibald Cox, Rich said. Another uncanny similarity is the Nixon administration's attitude towards the media. Twitter was not part of the picture then, but "Nixon would literally tell his staff, 'Write on the black board, the press is the enemy, write it a hundred times and never forget it'," Rich said. In the current political environment, two writing jobs have suddenly become more challenging: journalism and comedy writing. Rich does both. His work on "Veep" is about to kick into gear again, as the writers' room is getting ready to convene later this month. "We can do whatever we want and we don't know what we're going to do yet," Rich said. Maybe they'll skip years, maybe they won't, but "Selina Meyer and her incredible crowd of misfits, malcontents, backstabbers and incompetents" will continue inhabiting "an alternative world" to that of present day politics. The show never references presidents more recent than Reagan, and never uses cameos from real politicians, intentionally so. Even still, sometimes the lines between fiction and reality can get blurred: "We've had crazy things happen on our show that then to our amazement are done in real life," Rich said, "so I hope that we can keep ahead of that curve." Rich will be branching out from politically inspired comedy into a new HBO project focused on the media and entertainment world. The first season of "Succession" was just commissioned. It will be the story of an aging New York media mogul and his family members, as they take over his business responsibilities. Sources of character inspiration for the show are Rupert Murdoch, Sumner Redstone, Robert Maxwell, and even the Trump family, with a Veep-y spin. "It's most of all about a family, not a satire of a news organization," Rich said.